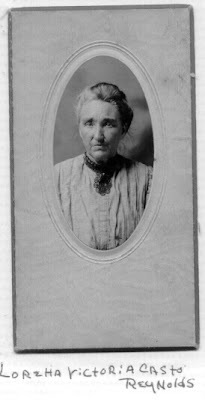 I found this picture of a younger Loretta Casto on Betty Briggs' site, WV Pioneers. She's also in a picture with my gr-gr-grandmother Elizabeth Casto Crane and their sister and brothers. My cousin Jody sent me a link to a new (to me) picture of my Grandad Anderson as a young man. Got me started climbing my "tree" again. 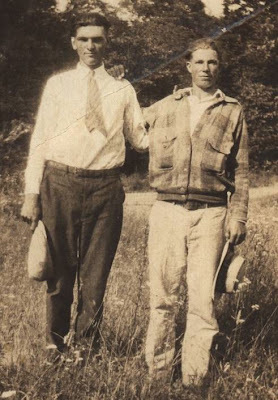 Here is Omer on the right with his friend Everett Robie on the left.